Brian Larky has a unique perspective on Italian wine. 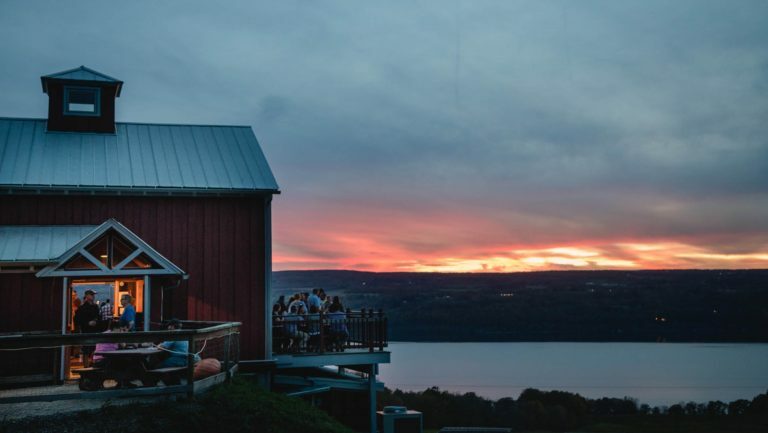 While many U.S. winemakers were flocking to France in the 1980s, Larky was drawn to Italy because it was, he says, “the biggest sandbox for a winemaker to play in.” After a stint at Franciacorta’s Ca’ del Bosco, he left winemaking behind in 1990 and pursued importing, becoming the founder and chairman of Dalla Terra Winery Direct. 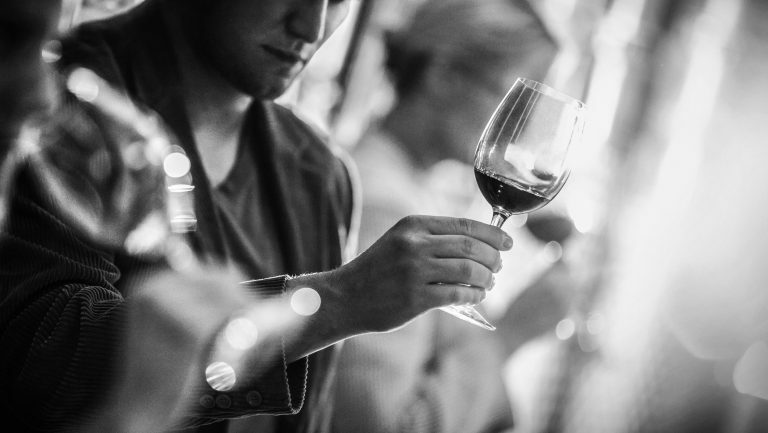 Today the company’s portfolio includes 27 Italian wine brands, including Vietti, Alois Lageder, and Casanova di Neri. 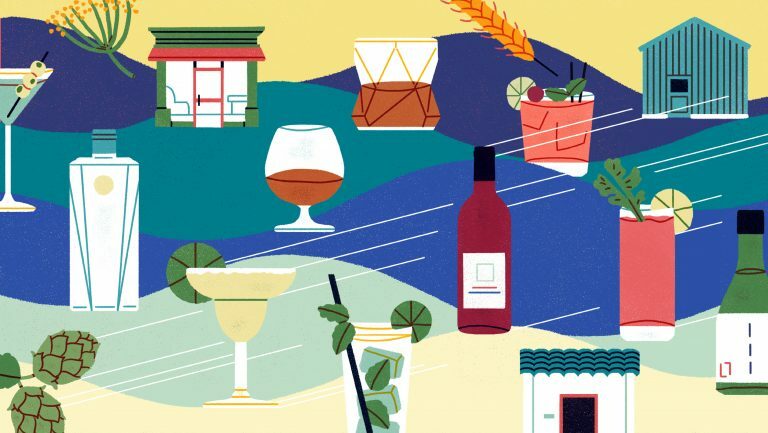 Pinpointing the epicenter of modern wine culture in Italy is a matter of debate, but a strong case can be made for Verona, in Italy’s Veneto region—and not just because the city hosts the world’s largest wine fair, Vinitaly. Verona is halfway between Milan and Venice, a fact that long ago made it a crossroads for the wine trade. Furthermore, it’s surrounded by the vineyards of Valpolicella. 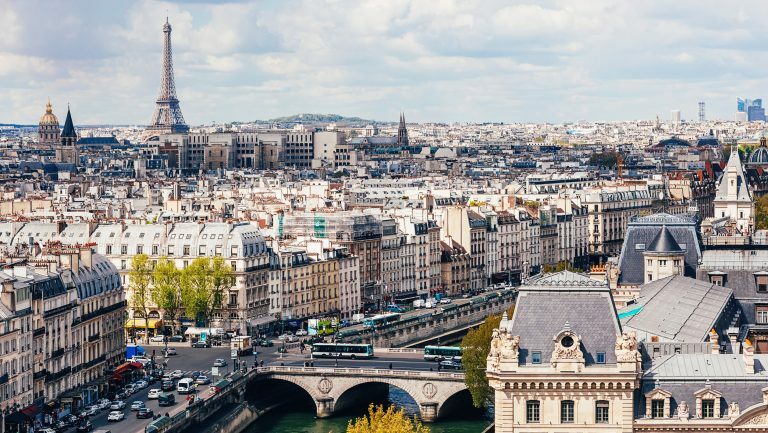 Here, Larky shares his insights on the city and its surroundings, as well as his tips for navigating the frenzy of Vinitaly. Verona’s airport is easily accessible from many European hub cities—including London and Frankfurt—and it’s only 20 minutes from downtown. Larky sometimes flies into the city, but he often explores other options. “If you can get a direct flight into Milan,” he says, “that may be preferable. Then from Milan, you can take the train directly to Verona. The train station is very close to the center of town.” He also suggests checking airfares into the nearby cities of Bergamo and Venice. To solve this traffic problem—and to get a dose of Verona’s beautiful wine country—he suggests staying in one of the small towns outside Verona, such as Soave or Sirmione, or even Rovereto in neighboring Trentino. These towns are close to railway stations, with easy and short connections into Verona. Shuttle buses can take you from the station to the fair. During Vinitaly, Larky notes that finding an affordable hotel room in the city is particularly difficult. “Most of the hotels require a three-night stay [during Vinitaly] and rates can double,” he says. Instead, he recommends going the Airbnb route or staying at the Hotel Rovereto in Trentino and taking the train into Verona. 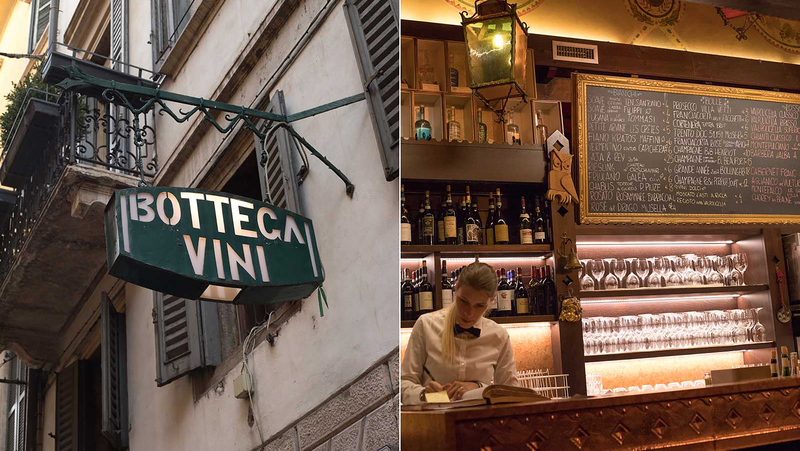 In Verona, food and wine are inseparable. 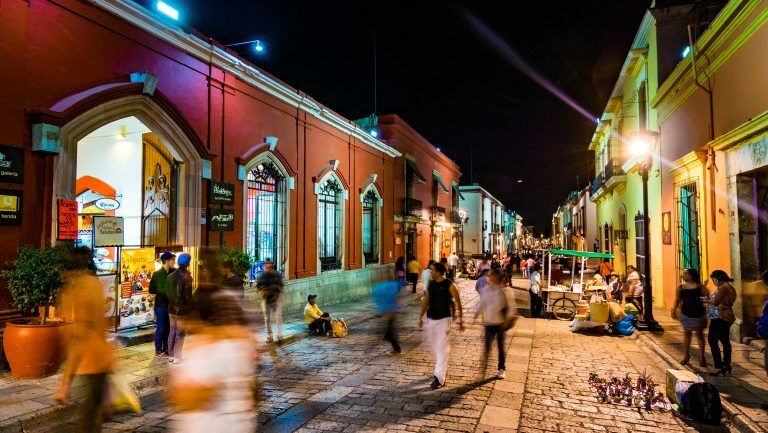 What may start out as a round of drinks and cicchetti—Veneto’s version of tapas—can quickly morph into a late evening with multiple courses, several bottles of wine, and a few new friends. Leading the way in this regard is Casa Perbellini. “It’s a tiny, tiny dining room,” says Larky, “and the chef is right there making world-class food before your eyes.” Despite its Michelin stars, the restaurant manages to leave pretension aside, with hospitable staff in sneakers. Piazza San Zeno, 16. Antica Bottega del Vino is “by far the most important place in Verona [for wine lovers],” Larky says, “and not just during Vinitaly.” Offering one of the most extensive wine lists in the country, the restaurant/bar/wine shop is known for its Old World ambience and boisterous clientele. “If you want to taste some old wines,” says Larky, “they’ve got it there.” He also notes, with a chuckle, that during Vinitaly, the same people who would “drive their Ferrari down Rodeo Drive in Beverly Hills” are walking around outside, “strutting their stuff,” with open jeroboams, ready to pour. Via Scudo di Francia, 3. To explore Verona’s regional cuisine, Larky recommends two restaurants. At Locanda 4 Cuochi, dishes such as suckling pig, pigeon, and rabbit are given a unique, modern twist that’s still grounded in tradition. “Locanda di Castelvecchio is another great location for traditional dishes,” Larky says. He recommends the dish Bollito e Pearà, which is a boiled meat dish in a traditional Veronese sauce of bread crumbs, stock, and black pepper. Via Mario Alberto, 12 (Locanda 4 Cuochi), and Corso Castelvecchio, 21/a (Locanda di Castelvecchio). Antica Bottega del Vino. Photo by Kevin Day. If you’re looking to explore the wines of Soave—and enjoy the lighter side of Veronese cuisine—Larky recommends dining at L’Oste Scuro. Soave’s light, mineral wines work perfectly with fish, and at this restaurant, the dishes are refined. “It’s a beautiful venue, with vaulted ceilings,” Larky says. “And the preparations are very delicate.” Vicolo San Silvestro, 10. According to Larky, the pizza in Verona is “incredible in terms of the dough, the lightness, and the freshness of the ingredients.” Because of its modern interpretation of pizza and great wine selection, Du De Cope is one of Larky’s favorites. Galleria Pellicciai, 10. In Verona—just as in nearby Venice—an entire meal can be made from a prolonged cicchetti crawl, and Tapasotto is tops on Larky’s list for such a night. “It’s a great place for after the fair,” Larky says. “They have a great variety of dishes with a mix of excellent wines and a superb environment.” Galleria Pellicciai, 12. Larky finds the bartenders at this hole-in-the-wall pub near Piazza delle Erbe to be among the most knowledgeable in Verona. “Archivio means ‘the archives,’” he says, “and it’s a very small space where they make all of their own ingredients, such as bitters. It has a wonderful library feel to it.” Via Rosa, 3c. The top sight in Verona is the Roman Arena in the heart of town, and Larky believes that it lives up to its hype. “It is the most picturesque part [of Verona],” he says, and “one of the most beautiful theaters you could ever go to.” He recommends checking the summer schedule for operas and concerts. 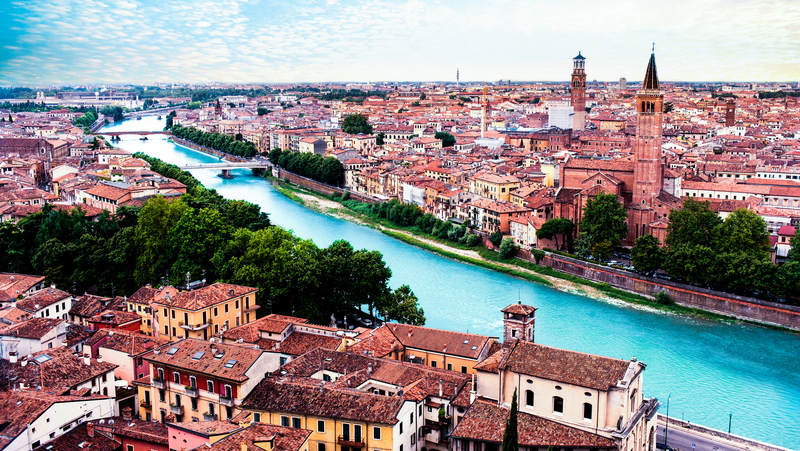 “Verona is one of the most beautiful walking cities you will ever see,” he adds. 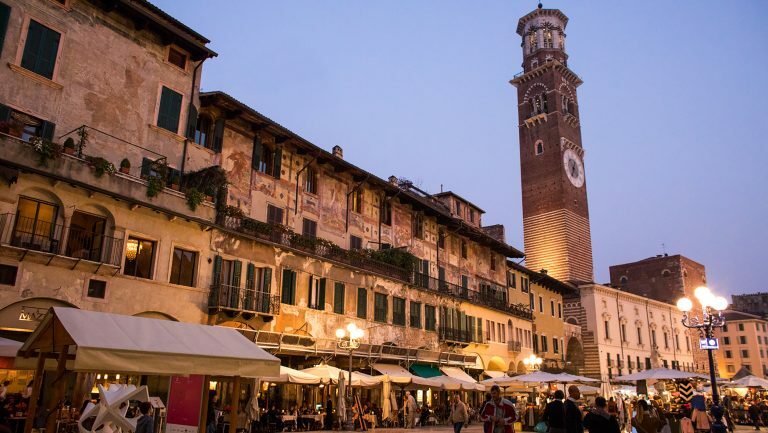 “Most people skip it for Florence or Rome, but Verona is extraordinary.” After visiting the Roman Arena, Larky recommends walking to Piazza delle Erbe, which is crowned by the 275-foot Torre dei Lamberti, built by the Lamberti family in 1172. Piazza delle Erbe. Photo by Kevin Day.